It seems the speed of our working environments continue to increase. No one would argue that the chief executive of today is faced with the task of prioritizing many more demands, more rapidly addressing concerns of constituents or stakeholders, and held accountable for more complex decisions, more far reaching consequences and more complex interactions. In contrast to these increased demands for rapid, accurate actions (or, perhaps as a result of them) our collective attention spans have seemed to shorten even further – our “financial news” cycle has shrunk from annually to quarterly to monthly to daily and sometimes even, unbelievably hourly or minute-to-minute! And, in this environment, leaders at every level must operate. Surround yourself with talented individuals. It is impossible for any single individual to master the domain of knowledge that is embedded in the task of running a large organization. Having talented individuals who have the responsibility and authority for planning, executing and evaluating strategic goals is a requirement. Practice honesty and openness. Information and trust are the balms that keep organizations and teams running smoothly. Conversely, practicing deception or obscurity is akin to throwing sand into the gears of a machine. Develop skills in soliciting and delivering performance feedback (yes, it is necessary at senior levels in organizations! ), clearly connect performance to consequences, and maintain a willingness to hear unpopular opinions, make difficult decisions and address difficult situations/relationships. Be the “good example” (even when no one is looking.) 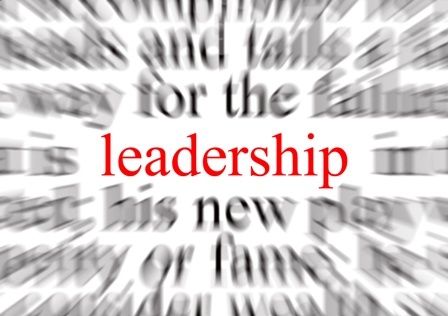 Integrity, diligence, and hard work are personal leadership characteristics that influence the entire organization. These characteristics should be readily visible to everyone in the organization and expected of everyone in the organization. Strategic HR initiatives may reinforce the culture of the organization, but it is the senior leaders who create and constantly reshape the culture. Practice strategic thinking. Strategic decision making determines the where, when and how to spend limited resources to determine the main directions of the business, ensuring its continued viability and success. Strategies are typically conceptual and general, ideas that can be spread over the entire enterprise and have a extended life. Tactical decisions, while necessary for goal accomplishment, are concrete ideas that are task/operation specific. Do these four practices hold the key to achieving any goal? Unfortunately, no. Simply put, following these principles is not a guarantee of success, but failing to follow them is the quick path to failure. Think of Leadership Made Easy as “necessary but not sufficient”, providing a foundation from which a successful team or organization may operate. About: Sherry K. Richards, Ph.D. is licensed psychologist and organizational consultant with over 25 years experience.